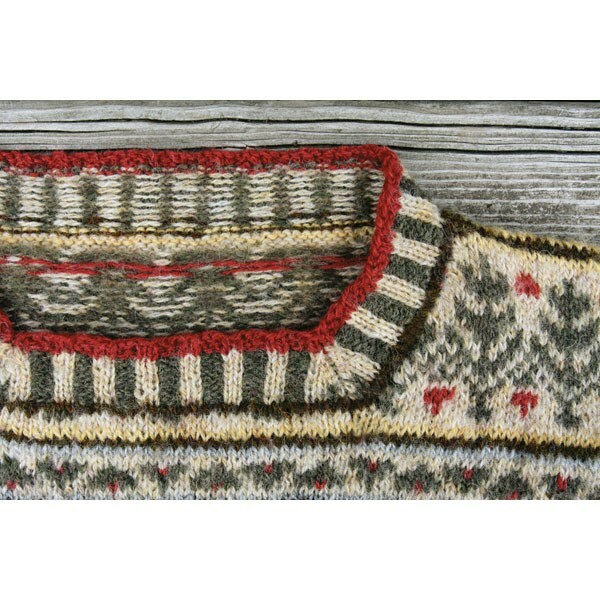 Six lovely shades of Shetland Spindrift are melded perfectly in this pleasing Fair Isle. 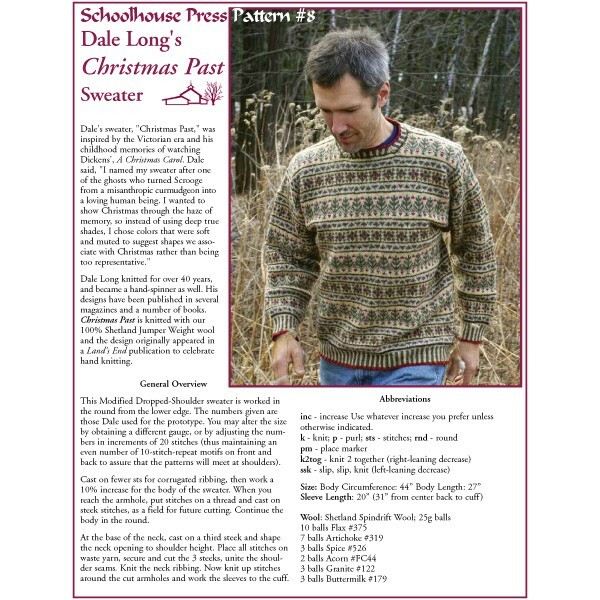 Dale was inspired by his childhood memories of Dickens', A Christmas Carol, "I wanted to show Christmas through the haze of memory, so instead of using deep true shades, I chose colors that were soft and muted to suggest shapes we associate with Christmas rather than being too representative." The result is quite beautiful, with a corrugated rib lower edge and matching neck and cuffs. 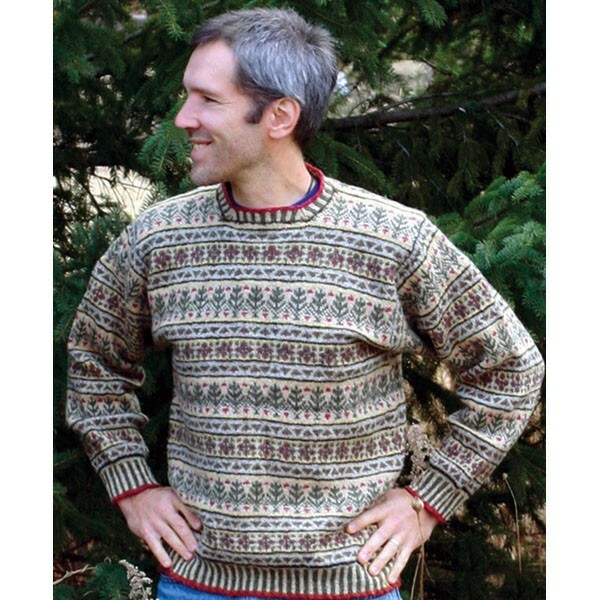 Christmas Past originally appeared in a Land's End publication to celebrate hand-knitting. Written instructions, plus charts. 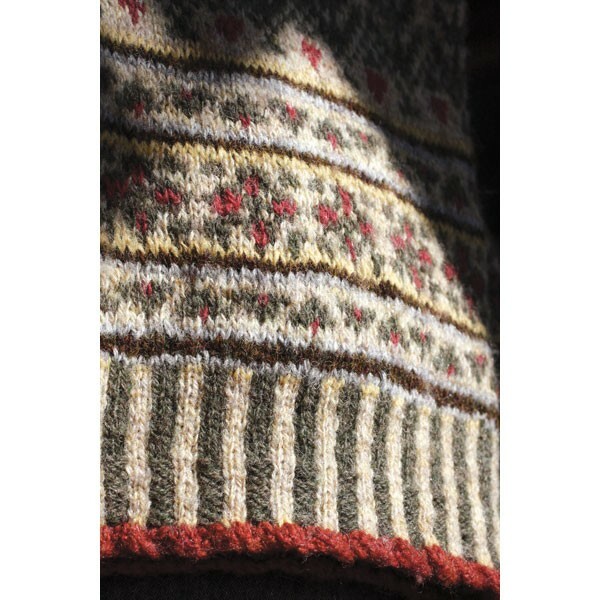 Techniques include two methods for cutting steeks, three-needle bind-off and carrying three yarns.